iPhone's Stunning Retina Display showed off in New iPhone 4 Ad. iPhone’s Stunning Retina Display showed off in New iPhone 4 Ad. A new commercial ad of the iPhone 4 was released today by Apple which focuses to show off the iPhone 4’s Retina Display. A little Intro of the Retina Display for those who don’t already know about it. The iPhone 4 Retina display features the highest resolution ever available on a smartphone screen. 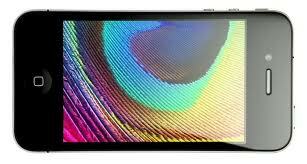 It has a resolution of 960 x 640 and it provides better Video and Picture Quality on the iPhone 4 and also makes reading, games and browsing a lot more beautiful and amazing then ever. See the ad below for yourself to check out how gorgeous things can be with a better display.